Set close to the most famous hotels on the Strip. 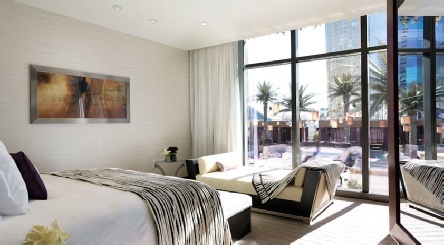 The modern Cosmopolitan of Las Vegas suites feature a kitchenette with microwave and a stocked mini-refrigerator. They are also equipped with a flat-screen TV and minibar. The Las Vegas Cosmopolitan boasts 12 unique restaurant choices including fusion cuisine and a buffet. Guests can also relax or be entertained in one of the 4 bars or lounges. The Cosmopolitan Vegas offers 100,000 square feet of gaming area in the casino. Across the Strip from Planet Hollywood, this chic casino hotel has views of the adjacent Bellagio fountains, offering high standards in a central location. 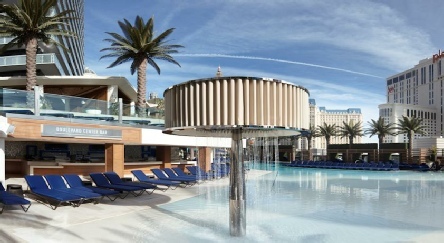 2019 package holidays to the Cosmopolitan of Las Vegas Prices are per person based on two sharing, including flights and accommodation (plus transfers in Caribbean destinations), and are subject to availability. Flights from Gatwick - other departures also available, call for details.